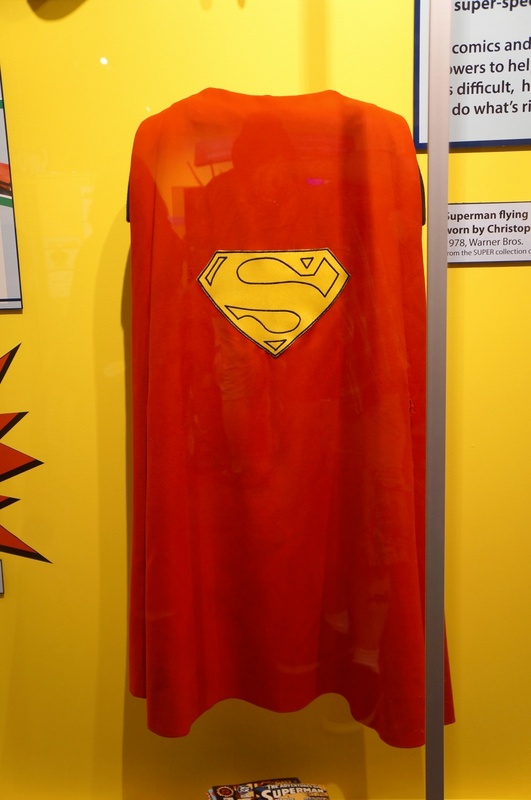 Another fascinating exhibit featured in the recent ‘Superheroes’ display at Indianapolis Children’s Hospital is this cape pertaining to be screen-used wardrobe from Superman: The Movie. 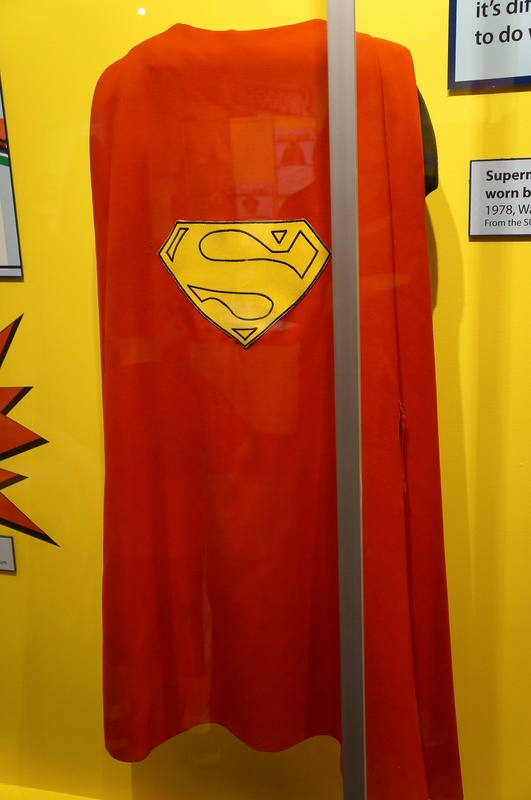 Keen eyes will perhaps notice something strange about this particular piece in regard to the proportions and conclude that the distance between the shield and the hem is way too short. While it would be easy, then, to dismiss this as mere replica two things lead me to believe it is not and that its history may be even more colourful. 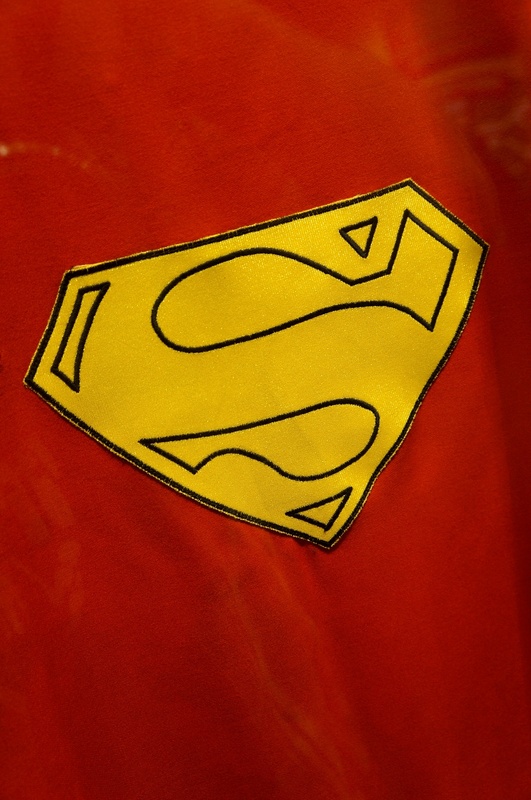 Firstly, thanks to SuperFan James Sawyer’s clear photography it becomes apparent in higher resolution the weave in both shield applique and cape body fabric are a match to other screen-used wardrobe and secondly, according to James there were slits in either side of the cape at waist level, the purpose of which he was unsure of. 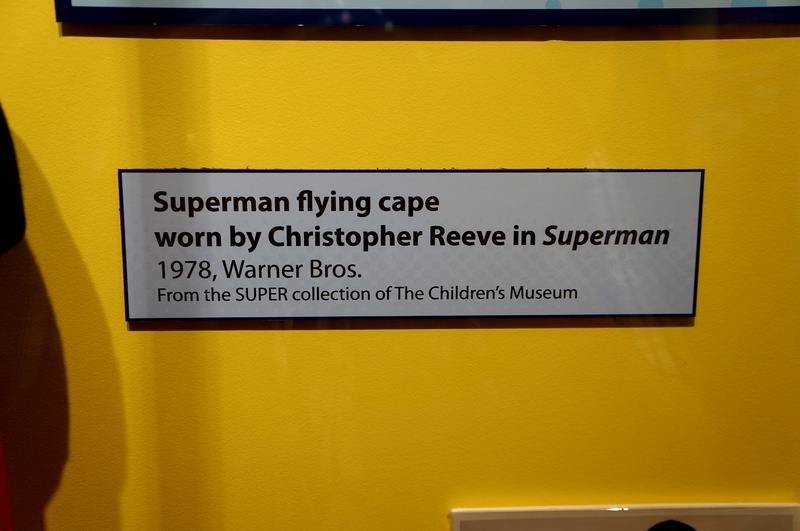 All of which leads me to speculate that this is indeed a Christopher Reeve worn ‘flying’ cape that had survived use in the original ’78-’83 trilogy only to have a quarter of its length hacked off for use in Supergirl. Many thanks to James for use of his pics and bringing this great discovery to my attention..!